Vallet Parking on Friday and Saturday starting at 4pm. Welcome to Da Franco & Tony Ristorante. We are located on the corner of Mulford Ave and Middletown Road near Hutchitson River Parkway. 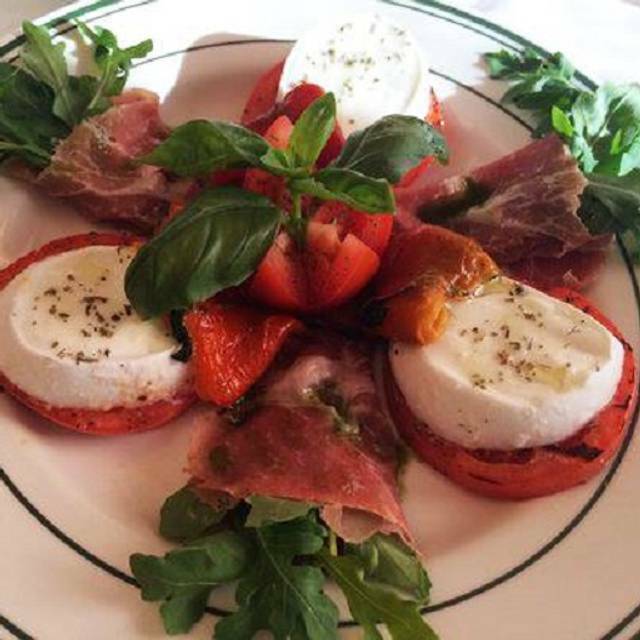 Antipasti – Zuppe – Insalate- Pasta – Pollo – Carne – Pesce -Verdre – Dolci Del Giorno- Come in for a memorable dining experience! Mozzarella Di Bufala Con Prosciutto E Peperoni Arrostiti. Sautée Broccoli with Olive Oil & Garlic. We went here because the reviews were so phenomenal. I don't think it lived up to the hype, but it was good. 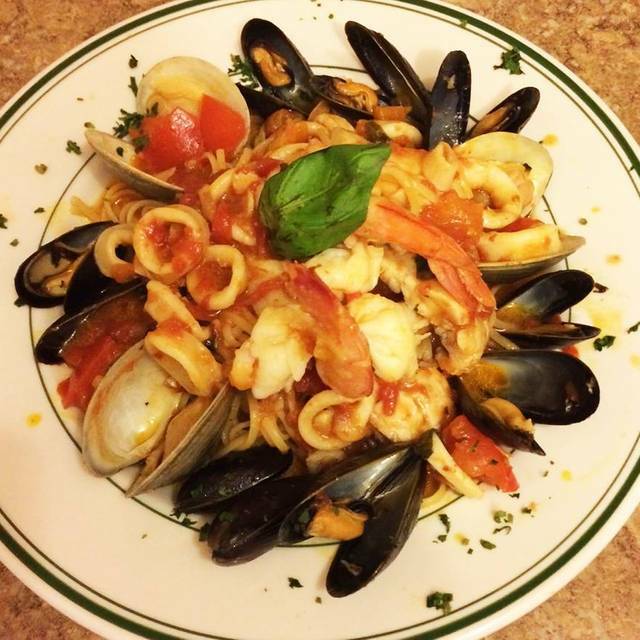 The Bronx has Italian restaurants with food which inspires. This place had good food, but not inspirational. Sit in the back room for a much quieter ambiance. The front room was very noisy this past Saturday night. Our experience at Da Franco and Tony is always wonderful. This is our favorite spot! Excellent service and superior food! We always feel like special customers when we dine here. Always friendly and accommodating! Can't wait to go again! We had a wonderful lunch in one of our favorite restaurants. As always the friendly service was prompt and impeccable. My wife had Chicken Francaise which was tender and cooked to perfection, served with roasted vegetables. I had the Gnocchi Sorrentino which were light, had little pieces of fresh mozzarella cheese and fresh tomatoes in a delicious sauce. We shared a piece of fresh Tiramisu to go along with our Cappuccino and coffee. Pleasantly surprised! Staff was excellent. Food was really good! For a small local restaurant, it really is an awesome place! flavor able . A great little neighborhood restaurant. Breaded artichoke, grilled octopus, chicken park and lobster risotto were all excellent. Valet parking. Wait staff couldn't be nicer. This is the real deal. Eat here all the time and the food never disappoints, this night happened to be extremely crowded and exceptionally noisy. I visited at the recommendation of a good friend. Excellent staff, specials and food preparation. Italian at its finest. Went on Valentine's Day. There was a set menu. For my appetizer got the fried calamari. It was excellent. For my main course I got NY strip steak with a goronzola sauce. It was great. For dessert I got chocolate souffle. I liked that very much as well. Though it could have been bigger. It was a little pricey but got didn't mind because the quality of the food was outstanding. The restaurant also gives you freshly baked bread for free when you arrive. The bread was great. Food is fresh, high quality and delicious!! The service is phenomenal!! Love this restaurant!! Fresh ingredients,well rounded menu,various specials. Excellent value. Everything is always spot on in this restaurant. The service is spectacular - very friendly and helpful but not intrusive. Always a nice selection of specials to choose from, but they have a nice regular menu as well. Appreciate the cheese/olive platter before the meal and the free after dinner drink is a nice touch! Love this place. It’s always delicious! It was a special occasion and DaFranco & Tony were up to the task! We wanted to stay local for our two year anniversary, and the weather outside was not the best, so we decided to try this restaurant! We’ve always loved the pasta from the pizza shop next door and assumed the restaurant would be similar. We were pleasantly surprised at the variety of menu items and the extensive dessert menu! Everything from the bread to the whipped cream with the desserts was amazing. We will definitely return and are now considering the venue for future family events! After we discovered this hidden gem about 2 years ago we went to see if first impressions will last; they wowed us. This place is consistently good and the service and care are outstanding. They care for their diners. really enjoyed our first visit while in NY for the ND vs Syracuse game - great win by the Irish followed by a great dinner experience. The food is excellent and the service is always profession, very courteous and always explains the daily specials in detail. They serve you as soon as you sit down and are always available. A cute neighborhood place whose only problem is finding parking. But once inside the selection and quality are top notch for everyday dining. Would recommend this place as a regular go-to spot. Delicious food, wonderful service, terrific atmosphere. Great local restaurant! Food, service and ambiance is perfect for date night or catch-up time with friends. No loud music which is a welcome change from other local restaurants. Once again, a consistently fantastic meal, combined with consistently fantastic service consistently makes for a fantastic meal. Excellent food with great specials and very professional service. A gem in a very ordinary part of the Bronx and worth the trip. Also great value for the quality. From the moment we arrived, we were greeted warmly. We were shown to our table and attended to by a very nice server. He explained the specials before we ordered our beverages so might consider those options as we perused the menu. Excellent dinners and delicious desserts. we were offered after dinner drinkson the house as well. Excellent service and delicious food. If you haven't been to this gem, do yourself a favor asap. We thoroughly enjoyed our meal and the wait staff was very attentive. Will go back for sure. Very good Italian. Old school. Veal, burata, bevy of pasta. Went 3 hours before Yankee game. Very friendly and homey. Would repeat. Always terrific service and great food. My review for this visit is the same as my past reviews = excellent 100. Only this time I'll add CONSISTENT to my superlatives.